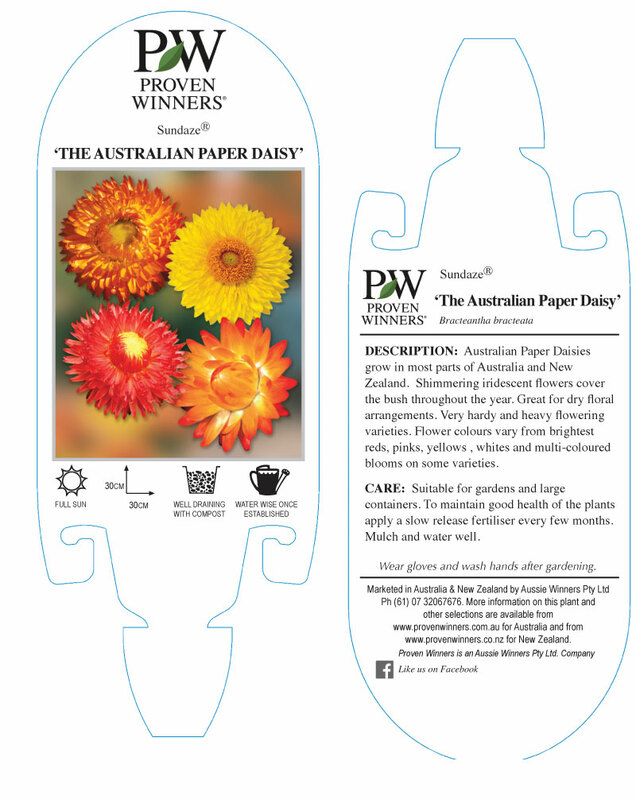 Orange flower petals with orange centres. 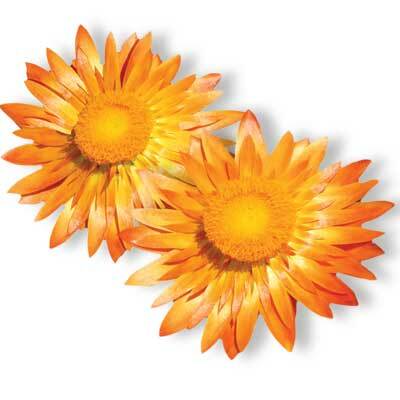 Sundaze® Bracteantha perform best in full sun but will tolerate light shade. They withstand high temperatures and rainy periods. They need a free-draining soil, but do best if kept evenly moist. Dry soil may result in reduced flowering, leaf yellowing and wilting. Avoid wetting the foliage as this can encourage mildew, especially in humid conditions. An occasional light application of a balanced fertilizer or liquid feed is recommended, and regular picking of flowers and the removal of seed heads and light pruning will prolong the plant’s life and the flowering period. Cut flowers are best picked in the early morning or late evening. Select flower stems with full buds that are beginning to unfold the outer bracts. Stems may be kept fresh in water or dried by hanging upside down in an airy place.